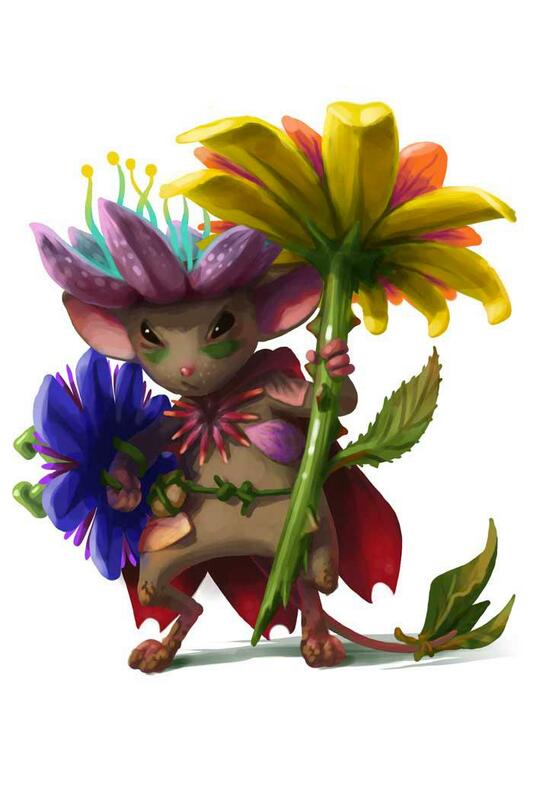 The Camoflower Mouse is a breed of mouse that can be found in the Living Garden, and are known to drop Aleth Essences, Dewdrops and Dewthief Petals as loot. Instead of finding weapons and armour in the garden undergrowth, some mice have gotten a little more... creative. The Camoflower Mouse has found and created an incredible selection of flowers to wear as a disguise - when spooked, she can fold down and look like nothing more than an unassuming collection of flowers and leaves. Camoflower Mice have no specific preference for any kind of cheese. Camoflower mouse is a typical member of the Living Garden mouse group. As such all power types except Hydro weapons are ineffective against it. Camoflower mice were released on 14 November 2012, as part of the Living Garden update. This page was last edited on 16 May 2015, at 21:04.